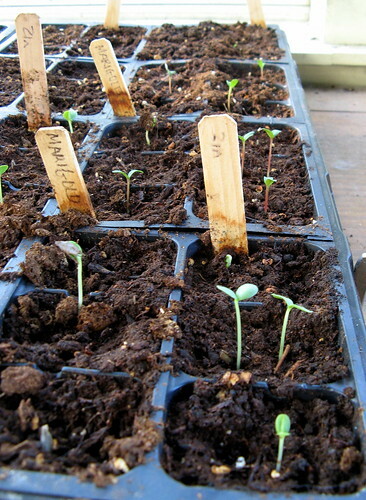 seedlings, originally uploaded by jahansell. But yesterday I went to look at this tray and saw that bunches of the sprouts had been decapitated. No mouse droppings, so I'm not sure who's the culprit. The cat? (But she didn't eat the seedling, just slice it off and leave the leaves sitting on the dirt.) Very frustrating!